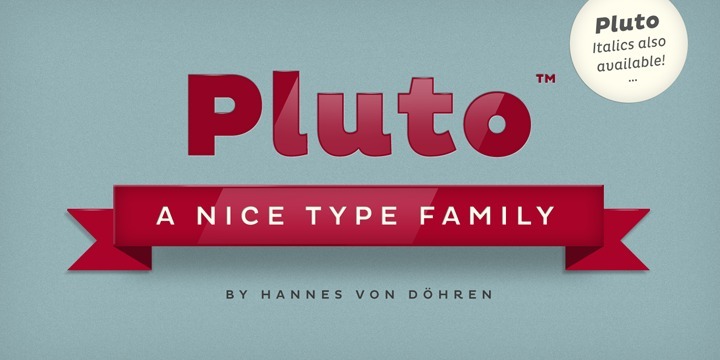 Pluto, the unique font designed by Hannes von Döhren in the year 2012 is a full-fledged family of 64 fonts including 16 Pluto Italics, 16 Pluto Uprights, 16 Pluto Sans Uprights and 16 Pluto Sans Italics. The designer created this amazing typeface keeping in mind informal and friendly nature that attracts user from different fields. The straight and vertical construction of Pluto makes it an ideal choice for longer copy.